You can use each effect among the (1)st and (2)nd effects with this card’s name only once per turn. (1) If this card is Normal or Special Summoned: Place 1 Spell Counter on it. (2) You can remove 1 Spell Counter from this card, then discard 1 Spellcaster monster; Set 1 Continuous Spell directly from your Deck, and if you do, you cannot activate cards, or the effects of cards, with that name for the rest of the turn. 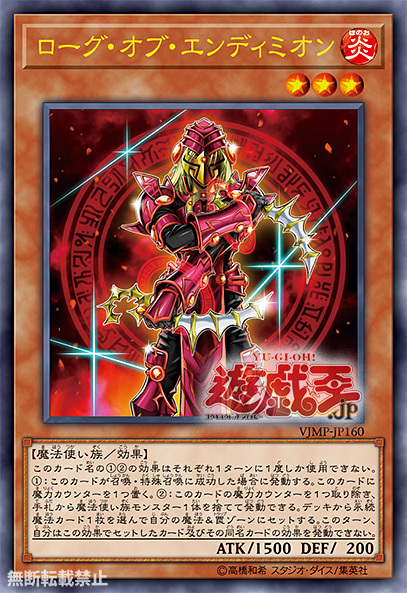 It’s a Spellcaster monster with a powerful effect who only reveals his true value when you play him in a Deck using cards from the new Spellcaster Structure Deck, “Lord of Magician” (The OCG version of “Order of the Spellcasters”).